Sony is the final Press Conference of the year, and like last year they saved the best for last. There were a few lowlights in the conference, like Skylanders inclusion, so I’ve taken the big moments from the presser and condensed them below for you. But that’s enough blabbering by me, let’s get started! Sony opened the press conference with a long and impressive demo for a new God of War game, simply titled God of War. This demo follows Kratos and a young boy whom calls Kratos his father as they hunt for a deer and are attacked by Trolls. Kratos no longer wields the Blades of Chaos, instead opting for an axe that is imbued with an ice rune by the look of it. No release date or window was given for this title. 2. Last Guardian is launching this October! Finally. It’s finally happening. The Last Guardian is actually going to be releasing this October. Sony dropped a two minute long trailer during the presser and revealed the game will be coming exclusively to PS4 this October 25th. Guerrilla Games showcased a brand new demo of their upcoming action adventure game Horizon with a long extended gameplay demo. In the demo, Aloy uses her hunter’s vision to determine enemies weak points to find new parts for crafting for her weapons and gadgets. The demo showcased branching dialogue as well, with Aloy being able to ask a scared villager different questions. On top of all of that, we saw Aloy tame a wild beast to ride and use in her fight against a Corrupter. Horizon: Zero Dawn comes out on February 28th. When Infinity Ward announced the futuristic sci-fi setting for Infinite Warfare, they received a lot of flack. Thankfully, this game looks like it is going to deliver as the team premiered an extended gameplay demo for the game during the Sony press conference. During the demo, the player character Captain Reyes decided where to travel to with his crew, opting to attack an enemy frigate. Reyes and his team took to their fighters, the Jackals, and put on an almost Ace Combat style demo. Following that, we witness some zero-G gunfights that look so much better than I anticipated. Infinite Warfare is coming to consoles and PC on November 4th. 5. Insomniac is making a Spider-man game! A new Spider-man game from the creators of Ratchet and Clank and Sunset Overdrive? I’m so in. Sony revealed that their long time collaborators at Insomniac have taken the reins on the Webhead and will be making a game that is exclusively on PS4. No release window was revealed, but one could guess it will be near either the July 2017 release of the film, or when it (presumably) releases on Blu Ray (Holiday 2017). Syphon Filter developers Sony Bend have created a new IP set in the zombie apocalypse with Days Gone. You will play as a survivor “Deacon St. John, a Drifter and bounty hunter who rides the broken road, fighting to survive while searching for a reason to live.” Sony Bend describes the game as an emotional tale about survivors and what makes them human. No release window was spoken of, but below is an extended gameplay demo. Sony took a brief pit stop to talk about the PlayStation VR during the conference and to confirm that it will be launching this October 13th for $399. It will have 50 games available for it, though they did not confirm how many will be there for launch. Their defintion of games is also potentially suspect, as two of the games they showcased for it (Star Wars Battlefront: VR Mission and Batman Arkham VR) seem like tech demos rather than full games. They did show off an internally produced game called Farpoint that did get me excited though. 8. Resident Evil 7 is real, first person, in VR, has a demo out right now, and coming out in January. Holy crap did Capcom go big with this one. With an absolutely terrifying trailer, Capcom revealed Resident Evil 7: Biohazard. Capcom is taking the game into first person, with a photo-realistic art style that can also be played through fully in VR. The game will follow the events of RE6 “taking place in modern day and revolving around a foreboding, derelict plantation mansion in rural America. Players must explore and survive the horrors within the mysterious, sprawling estate.” Their is a demo available exclusively for PS+ owners right now on PS4, and the game will be coming to PS4, Xbox One, and PC on January 24th. Hideo Kojima revealed himself at the press conference and showed off a trailer for his upcoming game from Kojima Productions. What the game is actually about is anyone’s guess, but the trailer does feature a naked Norman Reedus (who is the game’s star) holding a baby fetus that transforms in black blood. Yea, it looks absolutely bonkers, but I am completely onboard. The game will be a PS4 exclusive, but do not expect to see this game anytime soon. And that was the massive Sony presser for E3 2016, and I even left out the awesome Detroit Become Human trailer. What was your favorite moment of the press conference? How do you think their show stacked up with Microsoft or other publishers? Let me know in the comments below! This entry was posted in Gaming and tagged Call of Duty, Call of Duty: Infinite Warfare, Days Gone, E3, E3 2016, God of War, Guerrilla Games, Hideo Kojima, Horizon: Zero Dawn, Infinity Ward, Insomniac Games, Last Guardian, PS VR, PS4, Resident Evil, Resident Evil 7, Spider-man on June 14, 2016 by leagueofmediocregamers. 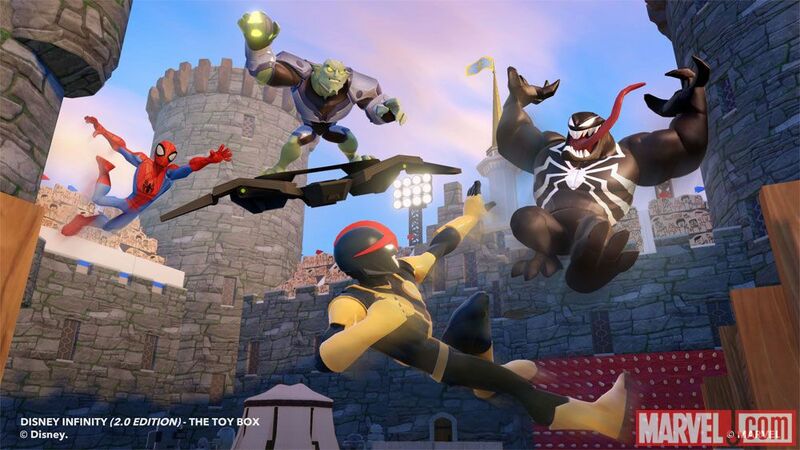 Nova, Iron Fist and Venom confirmed for Disney Infinity: Marvel Superheroes, with a Spider-man play set coming this Fall! Disney Infinity has two more heroes and one villain confirmed for it’s Fall release. Marvel has revealed that Venom, Nova, and Iron Fist will all be joining the ever expanding roster of Disney Infinity: Marvel Superheroes. On top of that, Marvel announced that their will be a Spider-man Play Set, that comes with Spidey and Nova. Venom, Iron Fist, and Nick Fury will all be usable in the Spider-man play set. While Venom and Spider-man are natural fits, the inclusion of Fury, Nova, and Iron Fist may seem odd. Spider-man actually teams with Nova, Iron Fist, and Nick Fury on the Disney cartoon Ultimate Spider-man, and this play set looks to draw from that universe, with Spider-man once again being voiced by actor Drake Bell. The plot of the play set involves Green Goblin cloning the symbiote, and infecting New York’s inhabitants. Spider-man then teams up with Iron Fist, Nova, Nick Fury and even Venom in order to defeat this infection. No word on pricing, or release date, but it’s safe to assume each character will cost $12.99 individually, and the play set will run upwards of $34.99. Not yet confirmed as figures are the Green Goblin, Dr. Octopus and Mysterio; all of whom were shown off in this play set’s trailer. This reporter’s opinion: Disney please stop. My wallet is going to be massacred by Disney Infinity already, and the inclusion of a full Spider-man play set is only going to make this worse. It looks awesome, and plays on all of my childhoods loves of Spider-man so well. If they announce a Guardian’s play set too, I’m completely broke. 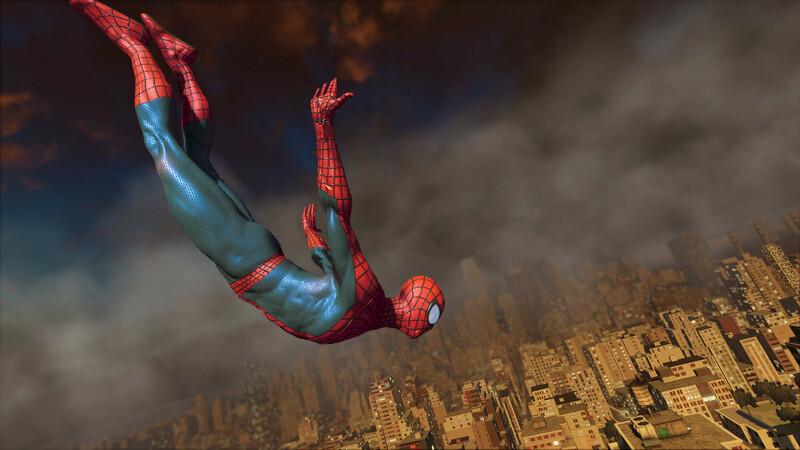 This entry was posted in Gaming and tagged Disney Infinity, Disney Infinity Marvel Superheroes, Marvel, Spider-man on June 11, 2014 by leagueofmediocregamers. At a special press event today in Los Angeles, Disney has revealed the the second phase of their best-selling game franchise Disney Infinity will bring in one of Disney’s heaviest hitters: Marvel Superheroes. Marvel’s Editor-in-chief Joe Quesada made the announcement of Disney Infinity Marvel Superheroes along with Avengers and Agents of S.H.I.E.L.D. star Clark Gregg (Phil Coulson) as well as Brian Michael Bendis, writer of a multitude of Marvel comics, including Avengers, Ultimate Spider-man, and events like Siege, House of M, and much more. Quesada revealed that the first six Marvel characters coming to Disney Infinity are Iron Man, Captain America, Thor, Hulk, Black Widow, and Hawkeye. 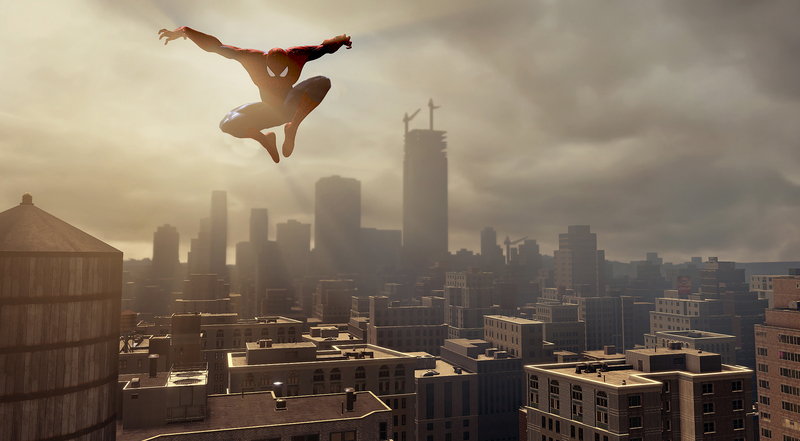 The playable campaign world of Marvel Manhattan is four times larger then the largest previous Disney Infinity world, Metroville. The campaign’s story looks to focus on Loki and MODOK bringing Frost Giants to Manhattan, and it’s up to The Avengers to stop them. The story will be written by Brian Michael Bendis. Marvel is focusing on giving players the ability to explore this new city, and has improved character movements tremendously. Obviously heroes like Iron Man can fly, but characters like Captain America now have a super jump, and Hulk can climb buildings. Their is a new skill tree that each character will have as well, with each hero feeling incredibly unique. Hawkeye is naturally dependent on his bow, where Cap and Thor are more up-close brawlers. The six characters mentioned above are just the first of over 18 Marvel characters who will be joining the already massive Disney Infinity roster. Other Marvel characters shown were Loki, MODOK, Nick Fury, Groot and Rocket Raccoon from Guardians of the Galaxy, Green Goblin, and Spider-man, with Disney teasing more characters that would not just be from the Marvel cinematic universe. 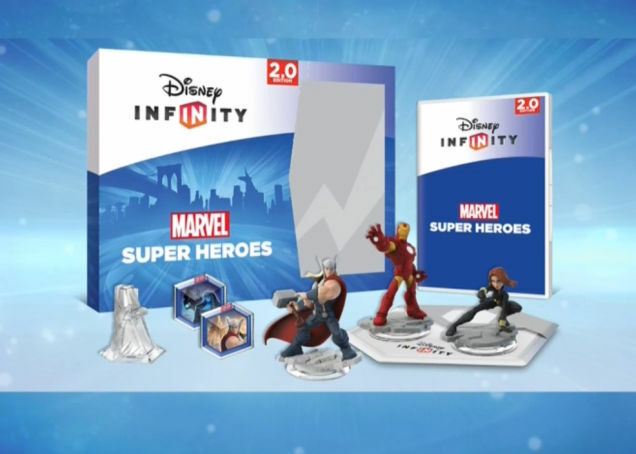 The starter set will include Thor, Iron-man and Black Widow, the portal of power, as well as two power disks and a currently mysterious crystal. Disney teased that more information on the game will be coming at E3, likely with a few more characters shown off. All new power disks will be arriving as well, with Disney themed items like Lola, Agent Coulson’s flying car in Agents of S.H.I.E.L.D., disks that change the character’s costume or can be used to call in allies. For example, Iron Man can call in Iron Patriot. All previous characters, power disks, and Toy Box mode saves will transfer into Disney Infinity 2.0. On top of these new Marvel-themed items, there will be more Disney themed items as well. They didn’t discuss any details, but this likely includes things like new play sets, characters and power disks. Disney Infinity Marvel Superheroes will be coming to PS4, Xbox One, Xbox 360, PS3, Wii U, iOS, and PC this fall. This reporter’s opinion: OH MY GOD SOMEONE TAKE MY WALLET RIGHT NOW. I’m a 21 year old man, and this has me far too excited. Marvel coming to Disney Infinity seems like a natural fit, and the sheer amount of awesome characters that they can now release makes my wallet tremble with fear. This move is also a big positive for introducing more Marvel characters to younger kids, which I love. This has me so excited I’m considering putting down a pre-order right now. Well done Disney. 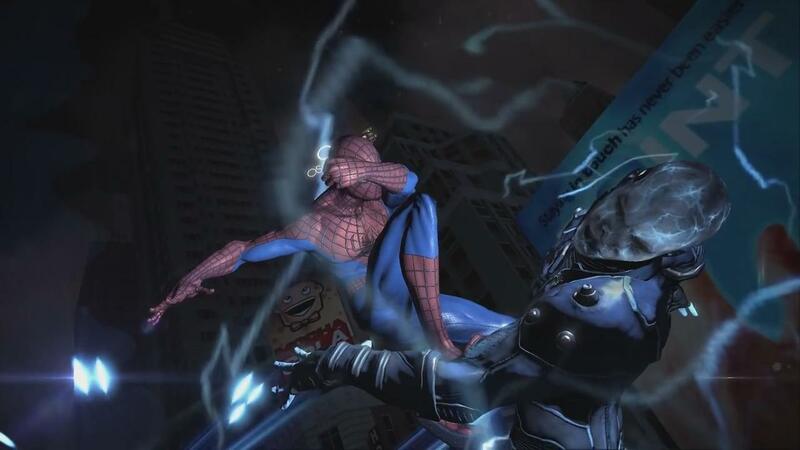 This entry was posted in Gaming and tagged Avengers, Disney, Disney Infinity, Disney Infinity Marvel Superheroes, Marvel, Spider-man on April 30, 2014 by leagueofmediocregamers. In a shocking move, Activision has confirmed that the release of The Amazing Spider-man 2 for Xbox One has been delayed indefinitely, and may never actually release. This news comes after a Neogaf poster found a piece of marketing material in which the Xbox One version was suspiciously absent (seen to the right). No reason has been given as of yet for the delay, and it is likely to come as a disappointment to many Web-heads out there. As of 1pm central time, the game is still available for pre-order on websites like Amazon and Gamestop, who both still have the release date set for April 29th. It especially strange that a game would be delayed or cancelled just two weeks before it’s release, which leads me to believe that there must have been something game-breakingly wrong about the Xbox One version to warrant an 11th hour delay. 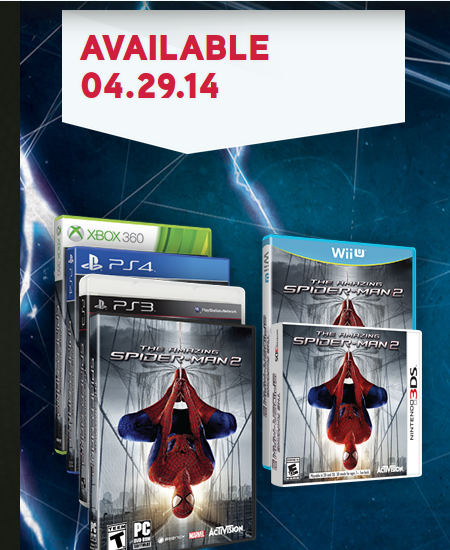 Amazing Spider-man 2 will still release on April 29th for PS4, PS3, Xbox 360, Wii U, PC and Nintendo 3DS. 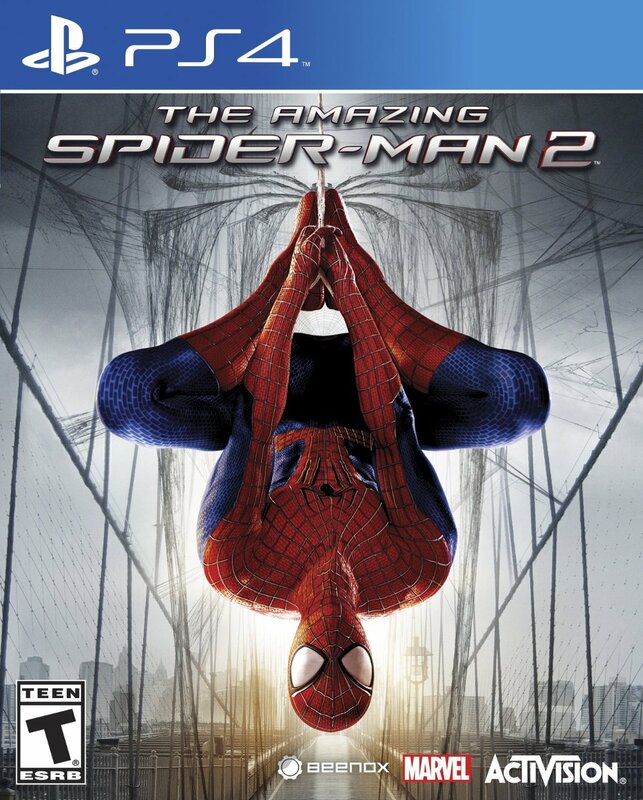 This entry was posted in Gaming and tagged Activision, Amazing Spider-Man, Beenox, Spider-man, The Amazing Spider-man 2 on April 17, 2014 by leagueofmediocregamers.